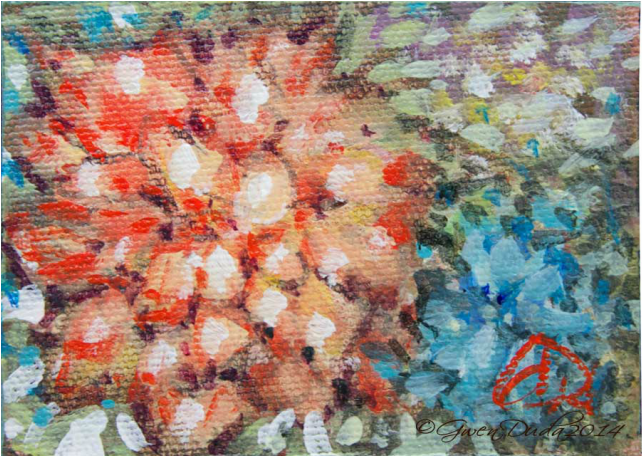 This is a beautiful miniature impressionistic acrylic on canvas board painting that is brimming with desert colours! Size: approx. 2 1/2" x 3 1/2"